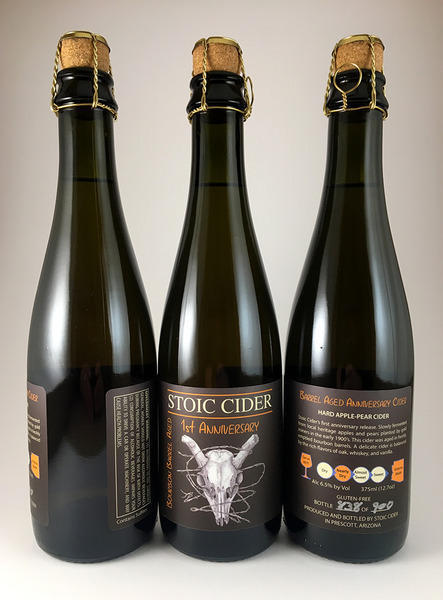 Stoic Cider’s first anniversary release. Slowly fermented from local heritage apples and pears planted by gold miners in the early 1900’s. This cider was aged in freshly emptied bourbon barrels. A delicate cider is balanced by the rich flavors of oak, whiskey, and vanilla.